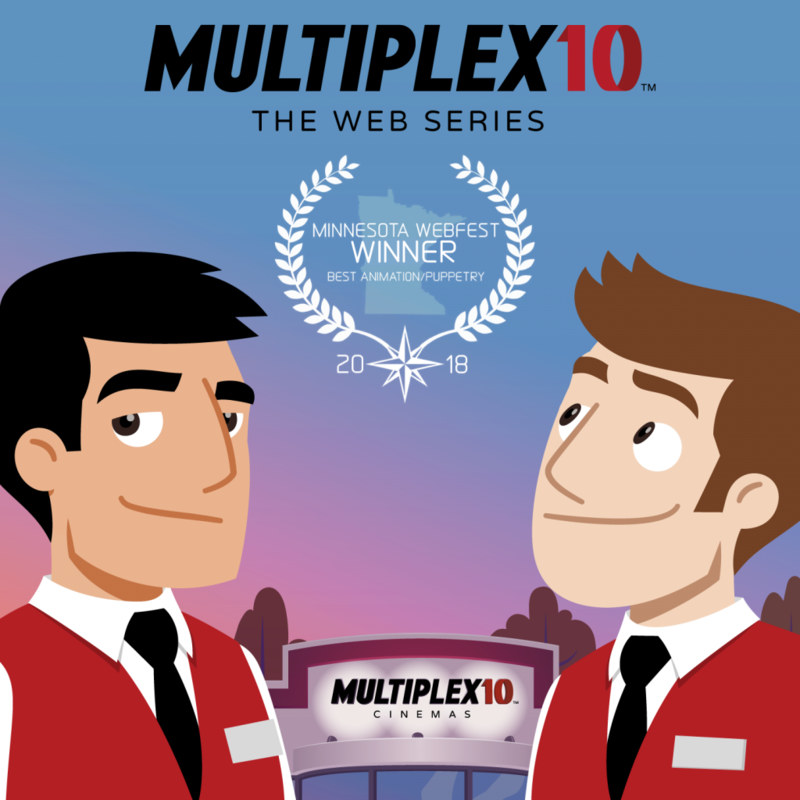 Multiplex 10: The Web Series wins Best Animation/Puppetry at Minnesota WebFest — and other festival news! Multiplex 10: The Web Series has won the Best Animation/Puppetry award at Minnesota WebFest! This news comes hot on the heels of winning Best Web Series at two recent GeekFest Film Festivals: Long Beach Comic Con and HawaiiCon earlier in September! We couldn’t be more thrilled about our recent successes on the festival circuit. Speaking of Multiplex 10: The Animated Short, although its film festival run will continue for a little while longer, the pilot that started it all will be finally released publicly NEXT MONTH (a.k.a. October), when it makes its YouTube Premiere on October 26 at 12pm (a.k.a. noon). Set a reminder for yourself to watch it live with me — or, you know, sometime after that. On another unrelated note: in case you missed the recent announcement — due to a big dumb mistake, the old Multiplex 10 YouTube channel was deleted, and we’ve had to reupload all of the videos that we had backups for (which was all the important stuff). If you have not already, you will need to RESUBSCRIBE at https://www.youtube.com/c/Multiplex10Cinemas in order to continue getting updates! Next Next post: Multipex 10: The Animated Short is now FREE to stream!